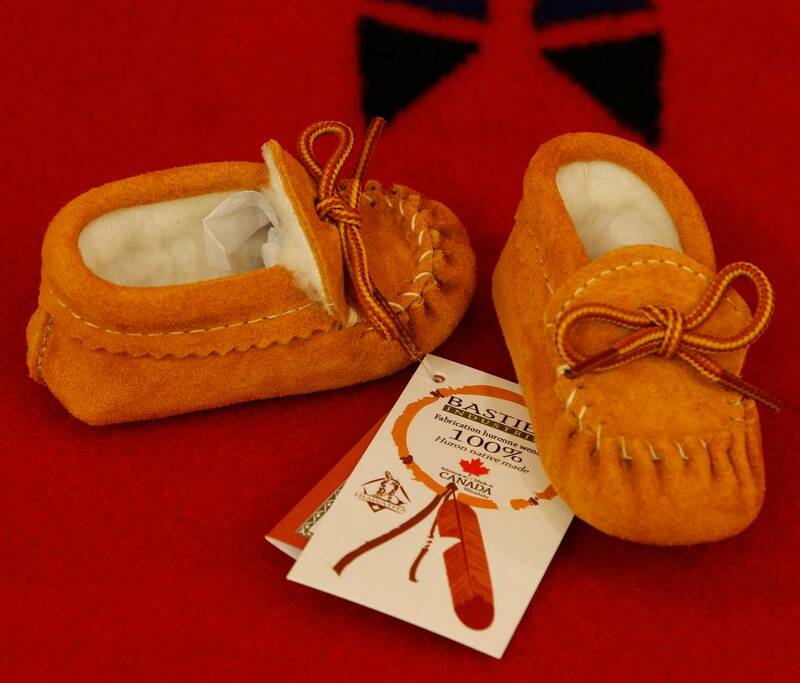 These childrens moccasins are made of moosehide and feature a fleece lining. These moccasins are 100% Aboriginal and Canadian made. These children moccasins are designed and manufactured on the Wendake reserve by Huron-Wendat craftsmen who apply ancestral techniques of manufacturing. The Huron-Wendat craftsmen use only first-class leather and suede. Moccasins are the perfect choice for your children to use as slippers, and make an excellent gift for that special child in your life.